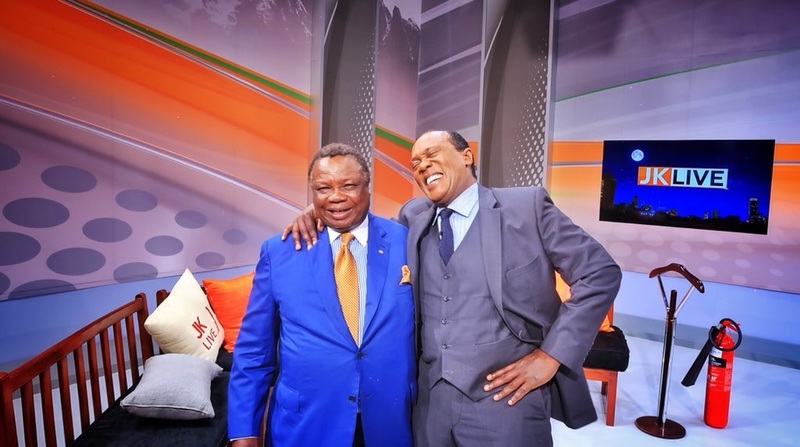 Home / Editor's Choice, Entertainment News, Featured Articles, Forum and discussion, Lifestyle, Media News, News, Politics / Government takes action against JEFF KOINANGE and Citizen TV for discussing S3X with ATWOLI on live TV. Government takes action against JEFF KOINANGE and Citizen TV for discussing S3X with ATWOLI on live TV. Friday, August 17, 2018 - Jeff Koinage’s controversial interview with flamboyant COTU Secretary General, Francis Atwoli, on Wednesday night, has landed him and Citizen TV in trouble with the Media Council of Kenya (MCK). The award winning journalist has been accused of being unethical and unprofessional with some of the questions he posed to Mr. Atwoli. Consequently, MCK CEO, David Omwoyo has written to Jeff’s employers, Royal Media Services, over the matter. Jeff, Jeff, Jeff.....Grow up. you attack your guests to a point that you now have very few who come to your show. I can count of my fingers those who do. Matters of the bedroom of someone else especially a man with another wife and children....Shame on you, you might as well retire old man and look into your own bedroom. neither the viewers nor Atwoli has complained. What the fuss about. Anonymous 6:21 is too personnal on his comments. I loved the show...atleast atwoli had an opportunity of clarifying the rumour.